It’s pumpkin harvest season! Carved Out Pumpkin Ale is the latest addition to our Farmers’ Market series showcasing ingredients from local food producers. Brewed with 100 locally grown pumpkins from Strom’s Farm, this light bodied pumpkin ale has clove, allspice, nutmeg, cinnamon, and ginger spice for a well-balanced and delicious fall beer. Appearance | Clear, light-orange with white head that quickly dissipates. Smell | Spices, cloves, and slight notes of cinnamon. Taste | Cinnamon (up-front), nutmeg, faint notes of spices, nuttiness, biscuits. 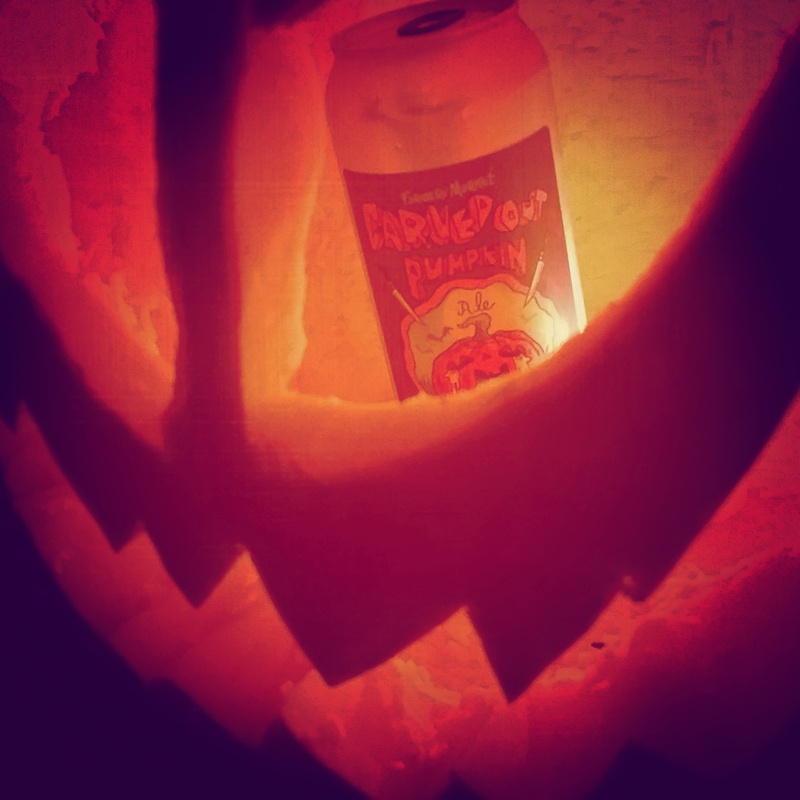 Overall | This beer was made with 100 locally grown pumpkins from Strom’s Farm , but I have to ask….Where’s the pumpkin? Although this ale is decent for a crisp and refreshing Fall beer, not so much of a pumpkin beer. Cinnamon stands out a lot in this ale along with notes of spices, nutmeg, and biscuits; while these flavours are great, they seemed to overpower the flavour of the good old gourd. Apparently this beer on cask carries the missing flavour more clearly. I was disappointed to see that it was filtered. That being said, great label, decent beer. I wonder if The Wooly will have it on cask soon? Any reason to go to The Wooly is a good reason! Previous Post REVIEW: Mash’n Pumpkin Ale by Lake of Bays Brewing Co.